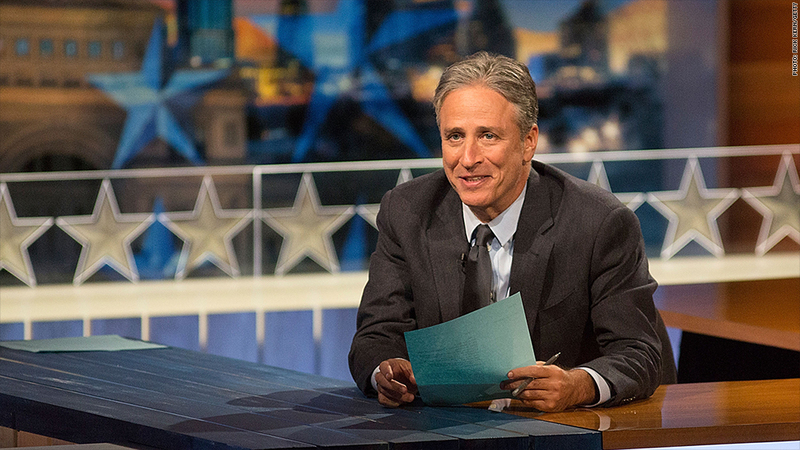 Jon Stewart's next act will be on HBO. The former host of "The Daily Show" has struck a four-year production deal with the company just in time for the 2016 election cycle. "The partnership marks the next phase of Stewart's groundbreaking career, beginning with short-form digital content, which will be showcased on HBO NOW, HBO GO and other platforms," HBO said in statement on Tuesday. In other words, whatever new work he creates will be streaming on the Internet. Stewart will start by producing "timely short-form digital content," allowing him to comment on current events, HBO said. He's working with a graphics company called OTOY. The videos will be updated several times a day. While he may not appear on camera, Stewart is expected to narrate them. "We are thrilled to be helping Jon build out this vision," OTOY said in a tweet. A network spokeswoman said Stewart's contributions will come online sometime early next year, but said she couldn't be more specific. The deal also includes what's known as a "first-look option," meaning that HBO has the first crack at films and TV ventures that Stewart develops. But it sounds like his focus, at least for now, is on web video. In effect Stewart is trading the predictability of a nightly TV show for the flexibility of the Internet. "Appearing on television 22 minutes a night clearly broke me," he said in a statement. "I'm pretty sure I can produce a few minutes of content every now and again." HBO said Stewart was not available for further comment on Tuesday. "It shows Jon is looking to find a creative breakthrough for his next act," said CNN contributor Bill Carter, who has written two books about late-night TV. "I think digital affords a tempting alternative to artists who have so thoroughly conquered an existing medium." Carter noted that this was the similar case with comedian Jerry Seinfeld who moved to digital content with his online series "Comedians In Cars Getting Coffee" following his hit NBC sitcom, "Seinfeld." "Jon had so much impact with his talk show he surely has to break new ground somewhere else beyond conventional TV," Carter added. In August when Stewart left Comedy Central, HBO CEO Richard Plepler telegraphed his interest in striking a deal with Stewart. "We would love to find a way to work with somebody as brilliant and gifted as Jon. Love to," he said. HBO and CNN are both divisions of Time Warner (TWX). Stewart is HBO's third high-profile addition this year. In July it signed former ESPN personality and columnist Bill Simmons. In August it cut a deal to premiere new episodes of "Sesame Street." Stewart won't be the only fake newsman on the network or even the only "Daily Show" alum. Former correspondent John Oliver is currently the host of HBO's critically-acclaimed weekly news show "Last Week Tonight."